Before the TV deals, folks would huddle around the radio to follow along to see how their favorite team was doing. Once it hit TV screens there was no denying how visually captivating the NBA could be, even when you weren’t courtside. Televised games let you see drama unfold and watch as players zip down and across the court, draining miraculous career altering shots and laying down thunderous dunks. The work of Sam Melvin is a reminder of how visually captivating the game and its players can be. 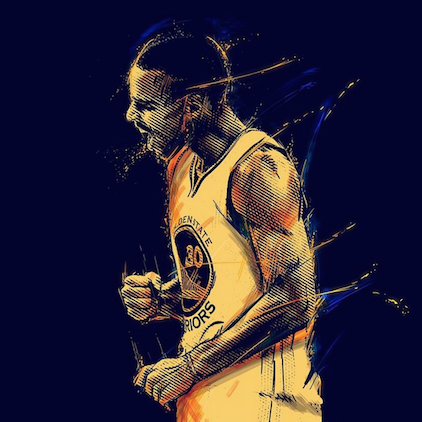 His illustrations are moments frozen in time, where he captures the character that makes each of his subjects unique but still displays their love and passion for basketball, the common thread that links them all.